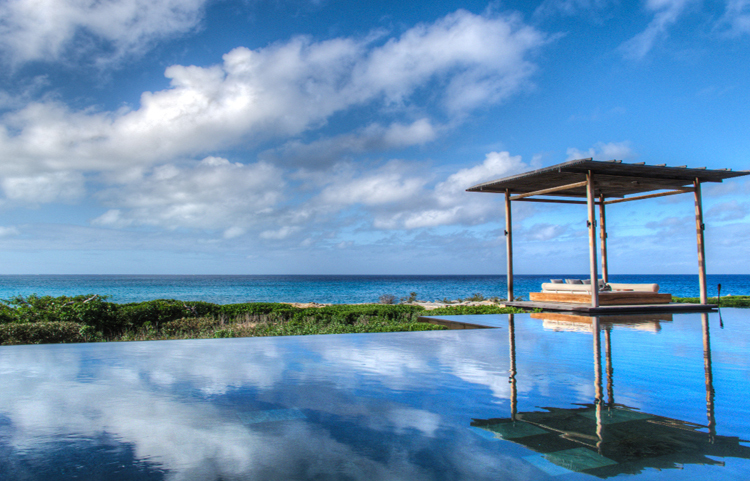 Amanyara is a secluded haven embracing the untrammelled elements of the Caribbean. Bordering the pristine reefs of Northwest Point Marine National Park, acclaimed for some of the world's best wall and reef diving, the resort draws its name from the Sanskrit-derived word for 'peace' and yara, the word for 'place' in the language of the Arawak Amerindians. Offering 40 timber-shingled Guest Pavilions tucked along the coast and a number of Aman Villas, our luxury Caribbean beach resort enjoys a contemporary layout and design, open to the sights and sounds of the turquoise sea. 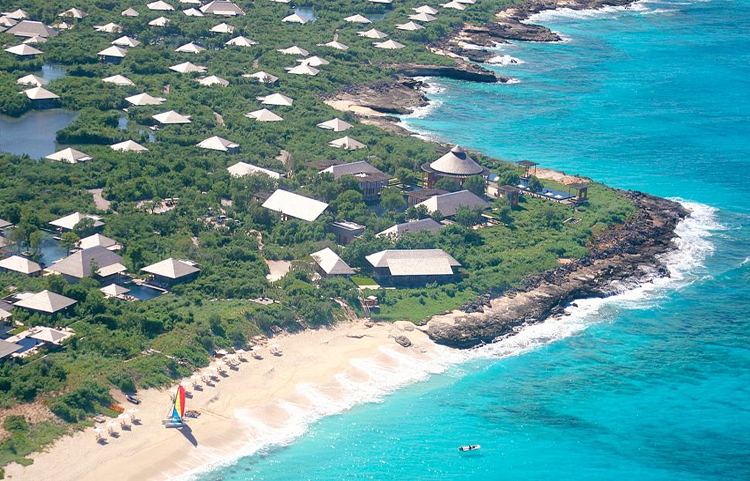 Set on a secluded white-sand beach, Amanyara luxury Turks and Caicos hotel enjoys a pristine location well removed from much of the development on the eastern side of the island. Transfer from the international airport on Providenciales is 25 minutes along a coastal road that rises to a hill and then falls away into a flat plain covered with native bush. This road passes through the picturesque fishing village of Blue Hills with its brightly-coloured Caribbean houses and beachside cafés. Entry to the Turks and Caicos resort is through a large reception pavilion that opens onto a central reflection pond. Surrounded by mahogany trees, the pond is framed on one side by the Library and Gallery, and on the other side by the Restaurant and Bar. The circular Bar offers a dramatic soaring roof and sea views fronted by the 50-metre (164-foot) main swimming pool and sun deck. Amanyara luxury Caribbean accommodations feature 36 timber-shingled guest pavilions and two Two-Bedroom Pool Pavilion Suites. 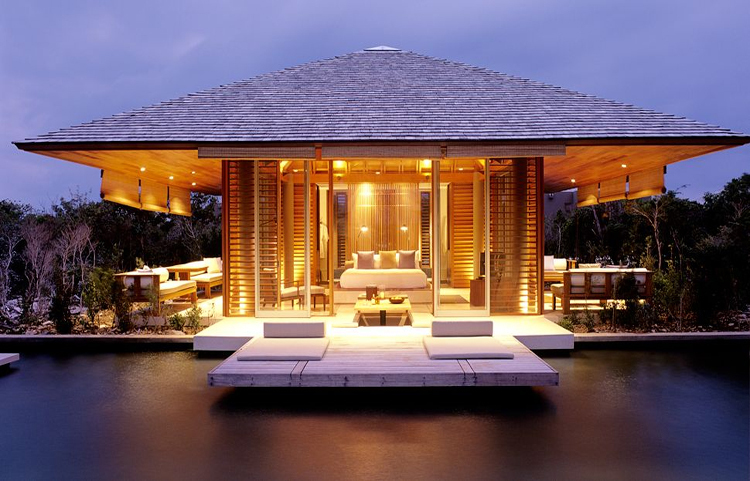 All Pavilions have a combined bedroom and living room separated from the bathroom area by a decorative wooden screen. Arrival is via an entrance terrace featuring two daybeds, and the interior is revealed beyond sliding glass doors. A central king-size bed is joined by a writing desk, reading chair and an entertainment unit with flat-screen TV and CD/DVD player. The spacious bathroom features an elegant, freestanding bathtub, twin vanities and a rain shower. Dramatic overhanging rooflines shade terraces on three sides of each Pavilion. These outdoor areas are accessed through large glass doors which open to cooling sea breezes. 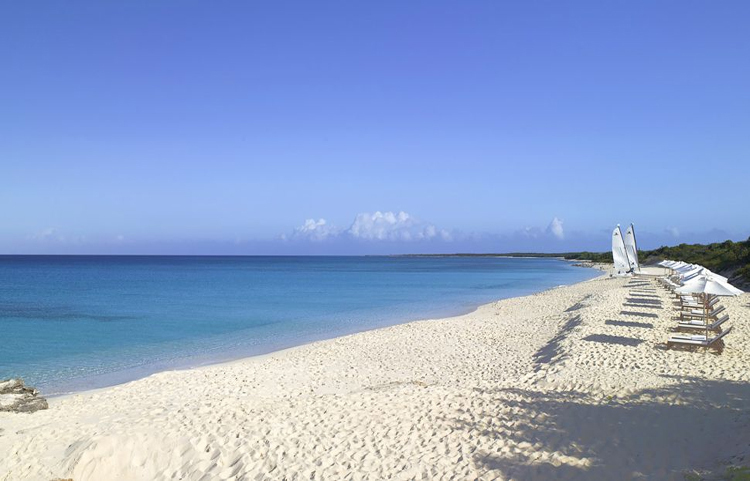 The Turks and Caicos Islands are blessed with crystal clear turquoise water and powder-white beaches, making them a premier destination for beach and water sports enthusiasts. More than 2,590 square kilometres (1,000 square miles) of coral reefs encircle the islands, and the warm climate ensures a rich and diverse range of marine life. Amanyara's beach resort offers a variety of equipment including Hobie Cats, boogie boards, paddle boards and ocean kayaks. Breezes typically originate from the southeast from May through September, ideal for sailing and water sports. From October through April, stronger breezes prevail from the northeast, bringing cooler temperatures and occasional waves.